The BEST account of the La Salle’s Texas Expedition! Henri Joutel was an important 17th-century French explorer who is best remembered for his involvement in the final American expedition of Rene de La Salle. The Texas Expedition of Sla Salle began in 1684 when he and crew left France to establish a colony on the Gulf of Mexico. The voyage is one of the most important European voyages in search of the Mississippi River – a voyage the ended in mutiny and the death of La Salle. The established colony was a failure after being overtaken by Karankawa Indians. 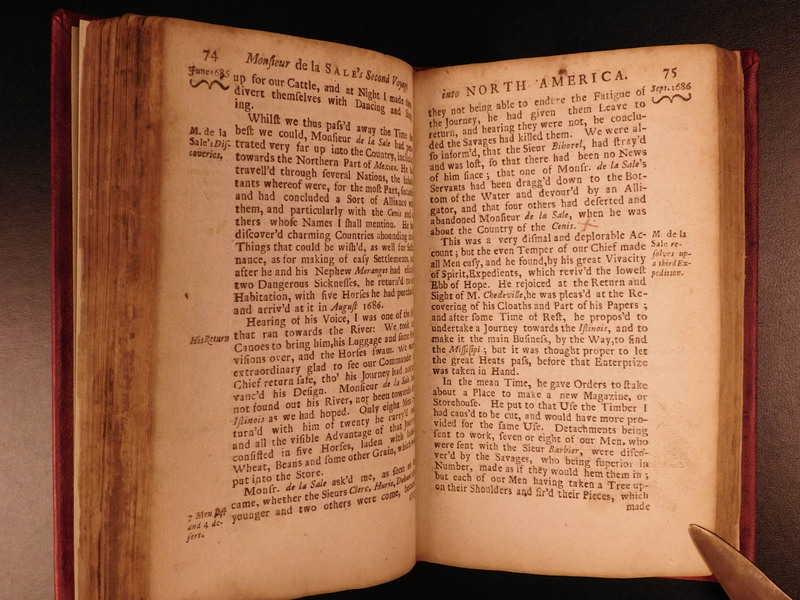 Mr. Joutel’s journal of his voyage to Mexico: his travels eight hundred leagues through forty nations of Indians in Lovisiana to Canada: his account of the great river Missasipi. To which is added a map of that country; with a description of the great water-falls in the river Misouris.